Your pet’s eye is one of the more critical, and sensitive parts of their anatomy. There are a number of different eye disorders, and many of those are amenable to at home remedies. The common eye disorders include: conjunctivitis (red eye or pink eye), epiphora (excessive tearing), uveitis, KCS (dry eye), glaucoma, cataracts, corneal ulceration, and PRA (progressive retinal atrophy). Some of the more common signs include your pet’s eyes being red with a yellow or green discharge. The eyes continue to water. Your dog or cat may squint or rub their eyes. The tissue around the eye appears swollen. With cataracts, the middle of the eye (the lens) appears cloudy. The causes of ‘red eye‘ are numerous. The most common are bacterial conjunctivitis, bacterial infection of the tissue around the eye, and allergic conjunctivitis. Other, more serious causes include glaucoma (swelling in the eye) or an ulcer on the cornea (erosion on the surface of the eye). 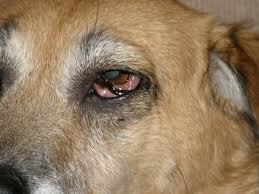 Conjunctivitis is defined as inflammation of the red, conjunctival tissue around your pet’s eye. It is the most common cause of red eye in dogs and cats. There are many at home remedies that can be used for conjunctivitis. Glaucoma is defined as excessive pressure inside the eye. The eye is filled with fluid, which constantly drains. In glaucoma, the fluid is not draining, resulting in a buildup of pressure in the eye. Glaucoma is an emergency, and the signs to watch for include sudden bulging of the eye, redness, marked eye pain, enlarged pupil. Epiphora or excessive tearing is usually a result of the tear ducts being obstructed, and the tears cannot be drained normally. They are then visible streaming down the corner of your pet’s eyes. Cats commonly have upper respiratory viral infections which can predispose them to recurring eye tearing. Uveitis is defined as an inflammation of the parts of the eye (the uvea), which contain blood vessels; those parts of the eye that are connected by blood vessels to the rest of the body. Uveitis is inflammation of the inside of the eye. Signs include cloudiness, eye pain, miosis (small pupil). Keratoconjunctivitis sicca (KCS) is called dry eye and is caused from a lack of tear production. The signs are a mucoid, dry looking eye, with accompanied inflammation. Corneal ulceration is defined as damage to the surface of the eye (the cornea). It is very painful, with signs of squinting, discoloration of the cornea, redness, often white opacity around the wound. Ulcers are eye emergencies, and your pet should be examined by your veterinarian if you suspect this. Progressive Retinal Atrophy (PRA) is an inherited eye disorder which affects the back of the eye (the retina). As the name suggests, it slowly degenerates, and can lead to complete blindness. A few key points: there is no real treatment, it is not painful, and results in complete blindness. TO THE VETERINARIAN. Here are three signs to trigger an immediate call to your veterinarian: if your pet’s eye infection is painful, with your pet rubbing her eye; if the main part of the eye, the cornea, appears to be indented or layered; and if the entire eye suddenly becomes cloudy. HOMEOPATHICS: BELLADONNA. Stops inflammation and is often used for pinkeye, give 3 tablets of 30C daily. PULSATILLA. Used when redness is accompanied by yellow or green discharge, give 30C, 2-3 tablets daily. LYSINE. In cases of epiphora ( execesive eye tearing) one can use the AMINO ACID LYSINE. L-lysine has proven antiviral activity, and is a mainstay in treating and curing cats with recurrent Herpes Virus respiratory infections. It comes as a Veterinary paste, (Enisyl). The dose is 100 mg per 10 lbs twice daily for at least 12 weeks. 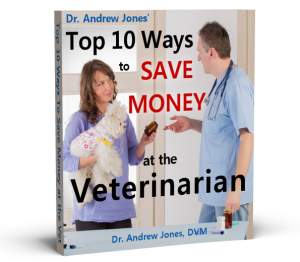 This is also found in Ultimate Canine and Ultimate Feline Health Formulas. l now have a Sphynx and just wondering if you can suggest things to keep on hand for this breed,thanks. Wouldn’t tea sting the eyes? My kitty hates getting eyedrops to start with. I’ve put her on antibiotic eyedrops several times now and don’t want her to get resistant to them. She has awful tearing in her eyes, a result of herpes virus when she was a kitten. 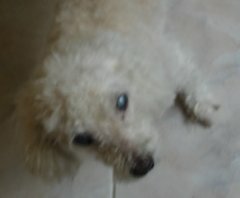 For years and years she had little problem, but now that she’s getting up in age [13 now] the tearing is awful. Worse she has white fur near her eyes, so has constant tear stains. Oddly, when her eyes are clear the fur on her chest and neck look lovely – when she has the “runny eyes” her fur starts looking stringy. PS I give her Lysine powder once a day, two little scoops. Should I split the dose, does that really make a difference? Maybe it keeps the level of Lysine constant? That might be a very silly question. thanks a lot dok for all the information you give to us especailly to me coz im in a medical practice.its a big help God bless you more power!